By Bryan Kitch for Between the Lines, SportUp’s journal of informed articles, resources, and opinions for athletes and coaches. When we arrive at SportsHouse in Redwood City, it’s noisy—there are tremendous numbers of kids engaged in everything from flag football to volleyball in the indoor space that spans a city block. Then, in walks Matt Bond, and quickly, he’s surrounded by lacrosse players. Only, they’re not noisy—they’re organized, and they’re ready to play almost before we can help Matt get the goals in place. 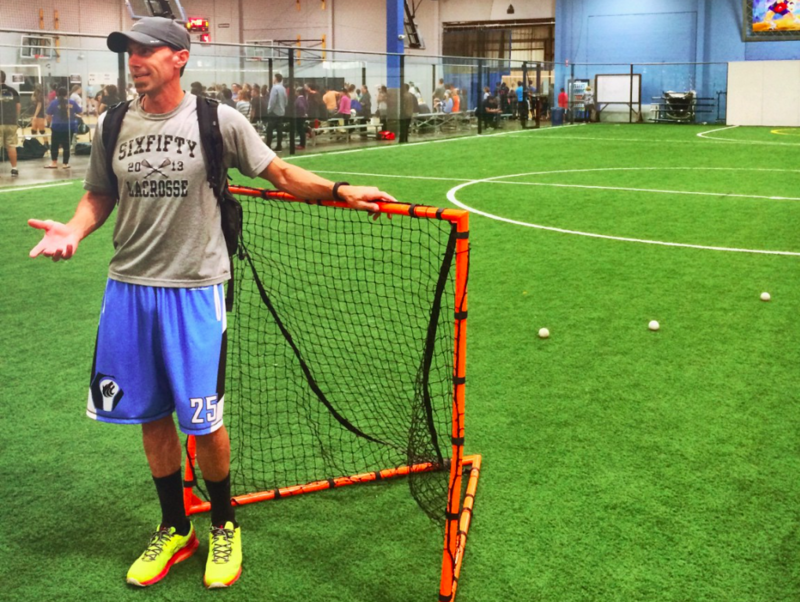 Sit down with SixFifty Lacrosse founder Bond—Matt Bond—for any length of time, and you’ll quickly understand that none of this is happening by accident. At the outset of our conversation, this hints at the philosophy underlying SixFifty—that is, a careful, studied approach that sees lacrosse as a lens through which life lessons can be learned. In other words, while the forum for learning is between the lines, it’s a philosophy that extends well beyond the field of play. 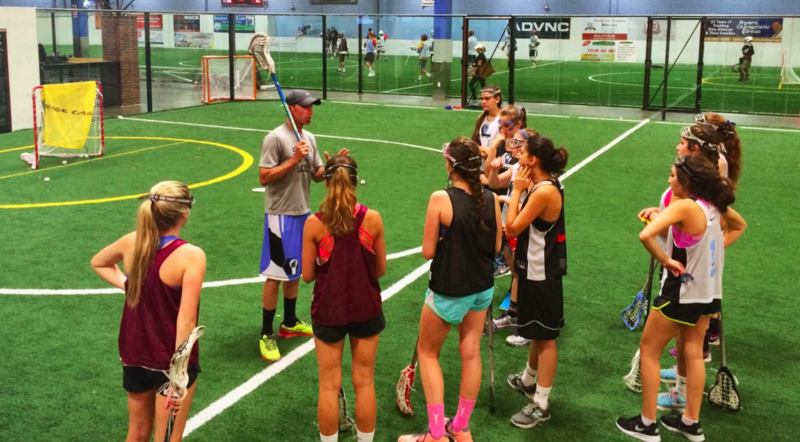 The connection between sports, teaching, and community is one that is intensely meaningful for Bond, who spent years as a youth pastor, as well as playing lacrosse at the Division 1 level in college, for Johns Hopkins University. 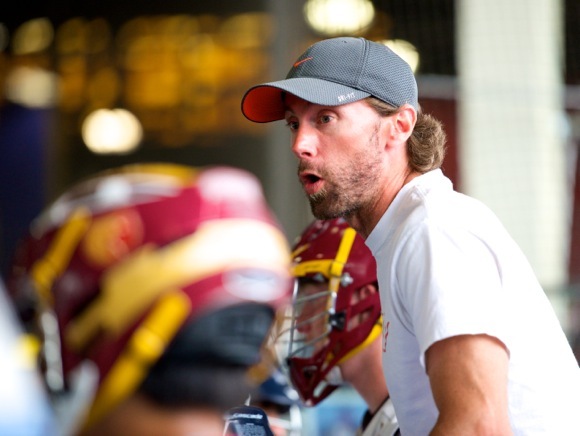 And, he’s never been busier than he is now, coaching with Menlo-Atherton High School varsity boys, serving as boys’ director of the Menlo-Atherton Grizzlies Youth Lacrosse Club, and running SixFifty. “I had a handful of adults in my life that played a huge role in my development—some of them were coaches, some of them were teachers,” Bond reflects. First among them were Bond’s parents—Bond’s father also served as his high school coach. What Bond is getting at is that the lessons are there for the teaching—it’s up to the coaches to make sure that that’s not lost on the most important people: the athletes. It’s for that reason that SixFifty has a curriculum that is standard across the program, touching on the above, and laying out clear lessons and guidelines for coaches and athletes alike. In the words of Nelson Mandela, “sport has the power to change the world.” This is something that Bond not only takes to heart, but feels it must be understood and appreciated to the extent that coaches see themselves as teachers and mentors. Not to be cliché, but, it’s not just Xs and Os. By starting at the local level, and keeping his scope small enough that he can give that personal attention and sense of community that so helped him as a youth, Bond has created a model that fits his 650 audience. And it’s growing. How much? About 30% per year over the first three years of the program, across the board. SixFifty offers afters-school classes, where kids can get an introduction to lacrosse using program equipment, giving them a chance to test it out before investing in personal gear. 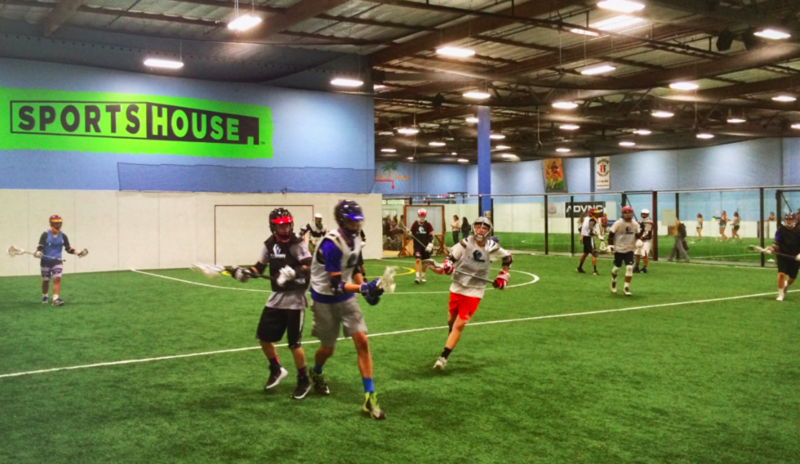 They offer offseason box (indoor) lacrosse leagues, summer camps, group clinics and private lessons, and an annual ‘Lacrosse and Service’ trip to Costa Rica for high school players. It’s a diverse array of options. 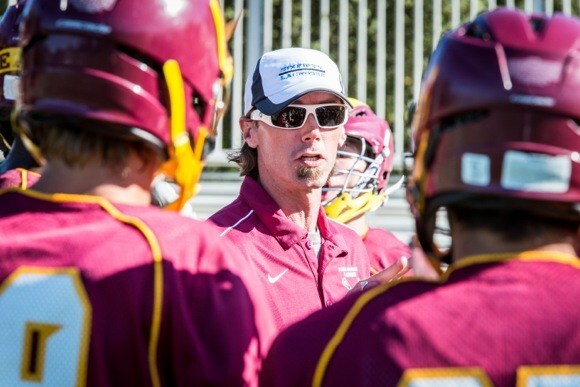 Editor’s note: Matt Bond is the director SixFifty Lacrosse as well as the coach of the Menlo-Atherton High School lacrosse team. 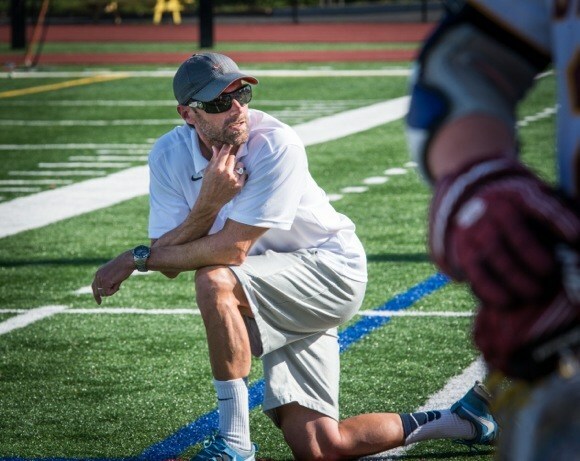 He is also the director of Menlo-Atherton “Grizzlies” Youth Lacrosse and has coached at the youth and high school levels in Maryland, Connecticut, England, and California since 1995. His M-A squads are two-time CIF Central Coast Section SCVAL Champions (2012 & 2013). We asked him to talk about what prompted his to play lacrosse, what lessons he’s learned, and what he attributes the sports growing popularity to. InMenlo: When did you start playing lacrosse and why? Matt: I have baby pictures with lacrosse sticks and played in the backyard with my dad and brother growing up as far back as I can remember. We had a little goal in the yard and would play for hours. Both my parents are Baltimore natives, and my dad was an All-American at the University of Maryland, Baltimore County in the ’60’s. He also played on multiple national championship club teams in Baltimore and Long Island in the ’70’s. I can recall my brother and I getting schlepped around to my dad’s games with our little lacrosse sticks and looking up to all the players. Baltimore, where lacrosse borders on religion, has arguably been the center of the lacrosse world for over 100 years. It’s just part of the cultural fabric and was really influential on our whole family. I played on my first recreational team at seven or eight years old growing up in Greenwich, CT, and because of our regular trips to visit family in Maryland, it was always just a part of life. InMenlo: What did you take away from your collegiate experience at Johns Hopkins at the Division 1 level? Matt: It’s difficult to sum up. It was such a significant time of life and very formative, with major transitions, struggling through new experiences, and the added competitive nature of college athletics. Apart from living out a childhood dream of playing at Hopkins, it wasn’t until about 10 years after college that I began to fully appreciate the experience on a whole new level. I learned not to fear hard work, but to pursue it because the most rewarding things in life often come at the greatest cost and therefore require the deepest level of commitment. It doesn’t mean living without fear of failure but embracing the possibility of failure and yet committing to move forward in the direction of your goals regardless. I learned that mistakes and failures are often the only way forward and the best catalysts for growth. Playing and going to school at Hopkins was just so difficult and challenging. Your motivation for working hard is questioned on almost a daily basis, especially when friends from other schools have weekends off or travel for spring break. But it was also immensely rewarding. I learned that the most important things are often found in perseverance and the details. I remember a time in practice when I gave up in a ground ball scrum. Coach Pietramala lit in to me for quitting before the whistle sounded and said that great things don’t happen unless you see it through to the end, until the final whistle, down to every last detail. Of course, there was also the fun, the intense camaraderie, the great wins, and devastating defeats. It was all there. My brother also played at Hopkins and we were there together, that was the best part. But the Hopkins family really taught me about maturity, responsibility, integrity, and hard work. InMenlo: What do you attribute lacrosse’s growing popularity on the West Coast to? Matt: It’s just so fun! But on the other hand, we live in a world that continues to shrink every year as technology allows us to see what people are doing on the other side of the world while sitting in our living rooms. In this sense, I think more and more people have the opportunity to be exposed to all different kinds of interests — music, art, food, culture, politics, and even sports. In terms of growth, it’s not just on the West Coast. Lacrosse has exploded around the world. At the 2002 World Games of Lacrosse in Australia, 15 countries competed. This past summer in Denver, 38 countries competed. What other sport has seen close to a 150% increase in international competition in a 12 year period? What we’re seeing in the explosion of the sport on the youth and high school level in America is happening all over the world. I believe this is simply because of exposure and it’s a very attractive sport to watch. For the past few summers, I’ve taken my high school lacrosse team to Costa Rica to compete against their national team and participate in service projects. The founders of lacrosse in Central America discovered the sport on YouTube in 2005 and now they’re competing in the World Games! So you have this sport, lacrosse, that’s really unique. It combines the athleticism of basketball with the endurance of soccer and the strategy and physicality of hockey with the camaraderie of football. You have all the cool gear that’s infinitely customizable and fun for kids — the colorful stick, the helmet and gloves, etc — but it’s not prohibitively expensive. It takes a lot of individual skill, but it’s the consummate team sport. It all adds up. Added to this is the history of the sport which is deeply rooted in Native American culture. Lacrosse, called Tewaarathon in Mohawk, predates soccer as possibly humanity’s oldest team sport (unless you include Greek track and field events as teams). It was used for a variety of reasons historically, from combat training to settling disputes to recreational enjoyment, but always held a profoundly spiritual meaning in the Native American culture. InMenlo: What should parents know about lacrosse when they’re initially getting their young children involved? Matt: If you’re just getting started, go out to Goetz Bros in Redwood City and buy two inexpensive sticks not more than $35 each. Or borrow a friend’s stick. Then find a tennis ball and spend some time with your child in the backyard or at the park throwing the ball around and having fun. That’s it! Don’t invest on all the latest gear because your child’s interests might change overnight. The biggest piece of advice I would share is simply do a little bit of research before signing your child up for anything. Because it’s a team sport, you’re going to have to find a club or recreational program or camp that you’re comfortable with, offers high quality teaching, and emphasizes fun learning. To be honest, because lacrosse is growing at such a tremendous rate there are an alarming number of large generalized “sports camps” and “sports programs” that now offer lacrosse. Demand is high, it’s a growing market, and I think the youth sports industry is quick to capitalize on trends in growth areas like California. Find a place that focuses on lacrosse, where your child’s coach is available to offer you advice and you know your kids will be in a consistent, supportive environment. There are a number of high-quality programs in the Bay Area, both club and recreational, that just focus on lacrosse and do it really well. Even better, find a beginners program that offers “loaner sticks” so your child can try it out first. 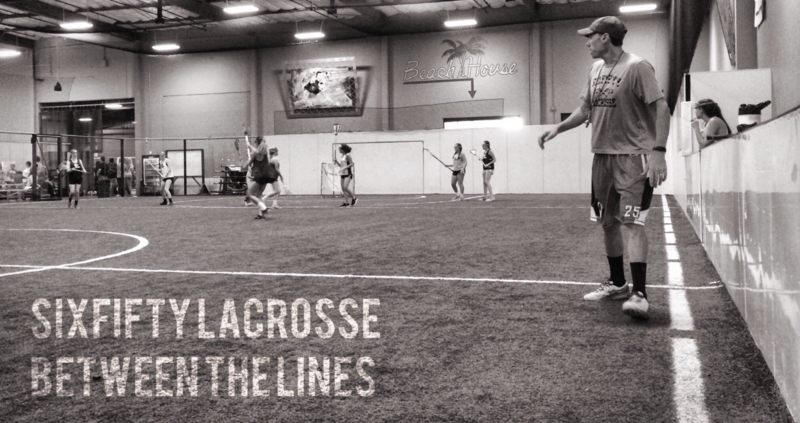 InMenlo: What has been most fulfilling about coaching lacrosse over the past 20 years? Matt: I began coaching when I left college in 1995 and knew that I would spend the rest of my life, in some capacity, coaching lacrosse. The game has given me some tremendous experiences, but it’s the people that made it happen. The most influential people in my formative years were my parents and my coaches. These were coaches that not only taught the game but were highly intentional about making the many connections between the field and life. It’s a cliche because it’s true — the athletic field is one of life’s classrooms. We throw the word character around a lot these days but that’s what it is. Coaches have a tremendous opportunity and responsibility to be actively involved in the process of character formation because our players are at a critical point in life. I believe that athletics is one of the most effective tools in which to develop young people into adults of character, integrity, and purpose. The most fulfilling aspect is being a part of this process and staying connected to former players as they move off into the world and begin their own families. InMenlo: Do you still play? What other sports do you enjoy as participant or spectator? Matt: I still play lacrosse on occasion. I’m a mediocre dabbler in a variety of activities. I’ve been surfing on and off since my teens and still get out to Capitola a few times a month. I’m a middle-of-the-pack category 3 bicycle racer and enter the occasional triathlon. And I can run circles around my six-year-old son in the backyard! SixFifty Lacrosse is offering after school Lacrosse classes at Hillview Middle School, La Entrada Middle School, Oak Knoll Elementary, Encinal Elementary, and Laurel Elementary. Sign up information is available online.